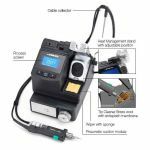 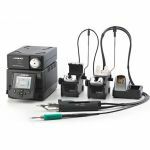 The JBC Tools Desoldering Stations have a complete cleaning system with an antisplash membrane to keep the work area clean. 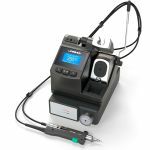 Use the integrated wiper to remove excess solder from the tip. 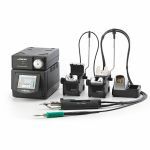 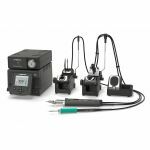 Purchase your JBC Tools Desoldering Stations sold by Howard Electronics Today!